It’s been a busy week for one Elon Musk. On Tuesday, he tweeted that he was thinking about taking Tesla private at $420 a share. Then, the Securities and Exchange Commission got involved, digging deeper behind the tweet to investigate the viability and truth behind his claims that funding for such a move was “secured.” And now, Musk is facing a lawsuit handed to him by some very unhappy investors. As reported by Bloomberg, a shareholder complaint was filed on Friday as a securities fraud class-action lawsuit in San Francisco’s federal court. The complaint says these investors believe Musk’s tweet was a lie specifically intended to push shares higher, and essentially screw over all the short sellers betting against the company. At the time of Musk’s tweet, Isaacs was short at least 3,000 shares of Tesla stock. That means that, at some point prior to Musk’s tweet, Isaacs had borrowed Tesla shares and sold them, betting that the price would fall and he would eventually be able to buy them back at a discount, pocketing the difference. The flipside, however, was that Isaacs lost money if Tesla’s stock rose—$3,000 for every dollar increase in the stock price. If Musk really did close a $420-a-share buyout deal, Isaacs would have needed to come up with around $420 for each of those 3,000 shares. So on Wednesday, Isaacs panicked and closed out his short position early by buying Tesla shares at the then-current price of $376. But Isaacs now believes that Musk’s tweet was false—that Musk doesn’t actually have funding secured. And if that’s true, he argues, then Musk violated US securities laws, which prohibit a CEO from spreading false or misleading information about a company in order to manipulate its stock price. The move likely cost Isaacs “tens of thousands of dollars,” the site said. Isaacs firmly believes Musk was just joking around, which would definitely fall under that “false or misleading information” category. Going private would be a $82 billion deal. In a board meeting, Musk apparently “addressed the funding for [the go-private option] to occur”, with no further details. No one has any idea where that money would actually come from. And Isaacs isn’t the only one. Other shareholders are coming forward with their own lawsuits, which will all be piled together in one big complaint to be heard before a single judge. It’s a risky move for the always-controversial Elon Musk. If he’s not able to prove he has the funding available to buy out shareholders, he’s going to be shelling out millions to plaintiffs seeking reparations for the damage done to their bank accounts. 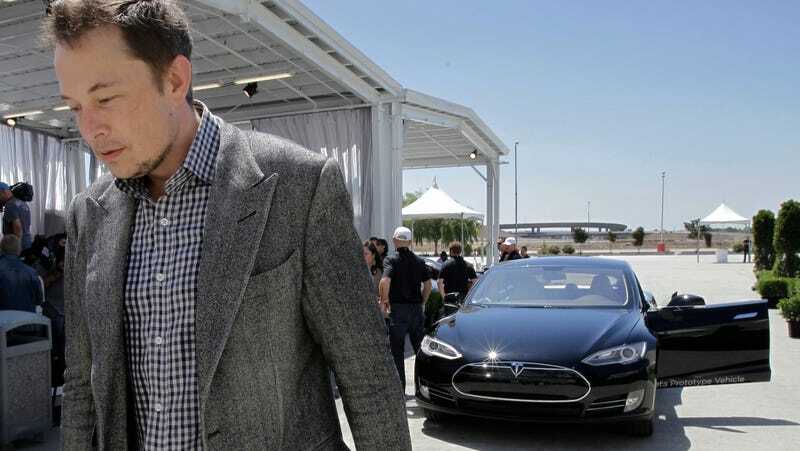 Do You Know Who&apos;s Backing Elon Musk&apos;s Bid to Take Tesla Private?